Black History Quotes Express app for iPhone, iPad, or Android lets you find inspiring, motivational, or reflective passages from a hand-picked collection of thought provoking words written by very noteworthy people. These achievers and their quotations are all included in the app. Learn more about Black History Quotes Express. Black History Quiz Deluxe app for iPhone or Android is an excellent fact based trivia game for inspiration about people, movements, and pioneers. Take a look at Black History Quiz Deluxe. 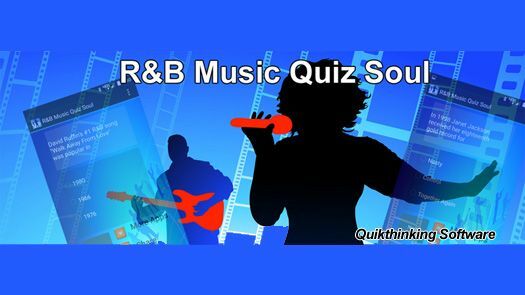 R&B Music Quiz Soul for iPhone or Android is a fun filled trivia game walk through history designed for casual music lovers. Every decade of the R&B classic soul era is included. Read more about R&B Music Quiz Soul. African American AAeMojis app for iPhone, iPad or Android are 133 stickers with a variety of genders and ages. Check out AAeMojis. Black History Audio Book app for iPhone or Android includes informative stories about famous black history people. Discover more about Black History Audio Book, Black History Audio Book 2, and Black History Audio Book 3. The Black History Inventors app for Android includes many amazing African American individuals, some of whom have received U.S. patents. 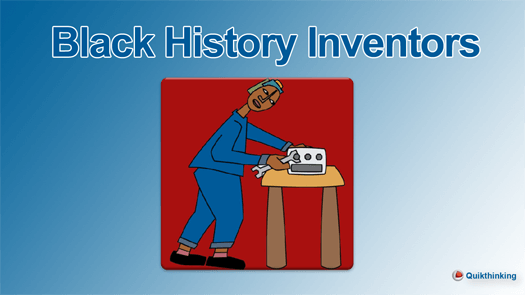 Discover more about Black History Inventors. Black History Express app for Android is an African American knowledge base and fun quiz game. Read more about Black History Express. Black History People Name Game app for Android is a casual word game puzzle with over 200 levels. Discover more about Black History People Name Game. Black History Picture Puzzle app for Android is a photo puzzle app. We include some famous names for you to reflect on as you twirl the segments into the correct position. Learn more about Black History Picture Puzzle. Get a FREE email alert when we release a new app!